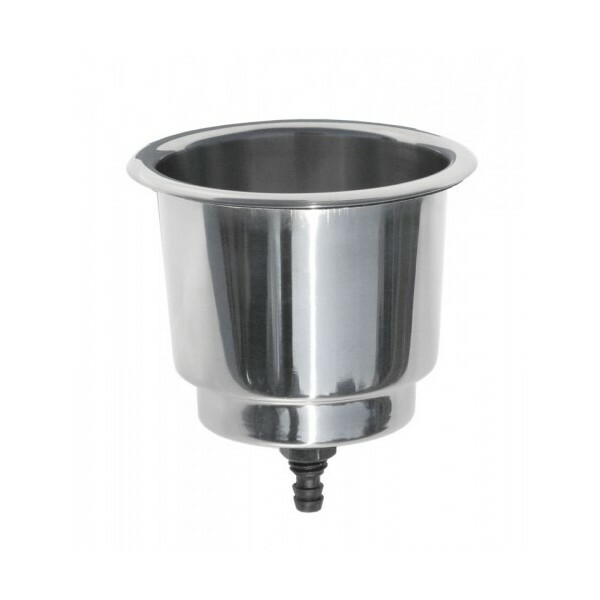 Stainless steel drink holder w/drain and plug for 3/8" hose, rim and bottom gasket. 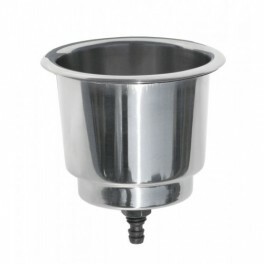 Width: 4.25", including a 3/8" flange - Height: 3.5" - Fits: 3.5" hole. SKU is aftermarket pack; also available in bulk pack.